Expecting the supply to dry up soon, ARIN will seek to verify that applications are legitimate. The American Registry for Internet Numbers (ARIN) has sent a letter to users of IPv4 addresses warning them that it expects IPv4 addresses to run out within the next two years. ARIN and others have warned before that this version of the addressing system, instituted in the early days of the Internet, would soon run out of unused numbers. 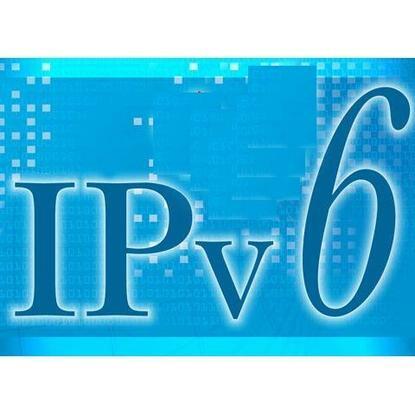 When that happens, anyone who wants a new IP address will have to get it under IPv6, the emerging protocol that has a vastly larger number of possible numbers. IP addresses are assigned in large blocks to companies, carriers and other entities. Different agencies assign the numbers in different parts of the world. Beginning as early as May 18, ARIN will require applications for IPv4 addresses to include an "attestation of accuracy from an organizational officer," ARIN Chairman John Curran wrote in a letter dated April 15. The Internet Storm Center posted a copy of it in a blog entry on Thursday. ARIN said it would take this step "to ensure the legitimacy of all IPv4 address space requests" so those organizations with a legitimate need for address space can still get it. It wasn't clear from the letter whether the attestation would have to come from an officer of ARIN or of the entity applying for the addresses. Curran was not immediately available to comment. The two-year warning is in line with most other projections regarding IPv4 addresses running out, according to Burton Group analyst David Passmore. He believes ARIN wants to head off a "land grab." "Anytime demand exceeds supply, there's going to be a market," Passmore said. "You or I could submit bogus requests, build a stockpile and resell to buyers." Also in the letter, ARIN advised address holders to begin planning for IPv6 adoption. In particular, it said they should make their publicly accessible resources, such as Web and e-mail servers, accessible via IPv6. IPv4 depletion is most dire in parts of the world with fast-growing populations of Internet users, such as China and India, but that doesn't mean U.S. enterprises will dodge the bullet completely, Passmore said. Once users start switching over to IPv6, any company that wants to reach those users will need to support the new protocol. However, IPv4 addresses within an organization will still be usable. The two protocols can coexist in a network. "This does not mean that typical large enterprises are going to have to go out and re-number their networks," Passmore said. There's no wholesale change on the horizon even if IPv4 addresses run out when ARIN believes they will. "Even two years from now, the IPv6 traffic will only be a tiny fraction of IPv4," Passmore said. IPv6 adoption has been slow despite warnings about address depletion going back a decade or more. A study by Arbor Networks and the University of Michigan, released last August, showed that IPv6 traffic represented less than one one-hundredth of one percent of all Internet traffic.